Lori has been featured in New York Post, DNA Info, New York Observer, Inman, and many other publications. 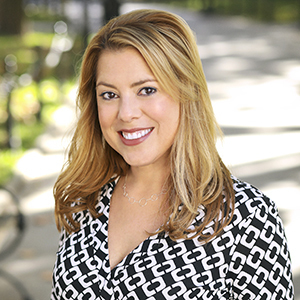 Prior to joining Compass, Lori spent her decade-long career in New York City real estate with Corcoran. She has closed more than $125 million dollars in sales and rentals, established a proven track record of success in all market cycles, and consistently exceeded client expectations. Known for being incredibly responsive and flawlessly prepared, she is a consummate problem-solver who relies on good humor and positivity to make what can be a stressful process much more enjoyable. Whether working with buyers or sellers, Lori prioritizes human connection and customer service above all else. "Working with buyers, I get to be part of an exciting journey that ends with them finding a great home—the place where they’ll create all new memories,” she explains. “With sellers, I’m driven to handle every aspect with obsessive attention to detail to assure a seamless process and best possible price." A specialist in townhouses, condos and co-ops in Brownstone Brooklyn, Lori lives in Windsor Terrace near Prospect Park. In her free time, she and husband Mark, along with their Cavalier King Charles Spaniels, Pork Chop and Squash, love to escape to their tiny cabin in the Catskills to enjoy campfires, watering holes, hiking, and spotting all kinds of wildlife. "As our buyers' agent, Lori zoomed in on our wants, needs, & limits. Her guidance reflected her extensive neighborhood experience and a passion for real estate. Then, as our listing agent, Lori placed our interests first, exercised strong business savvy and proactive approaches at tough junctures. She was FULL SERVICE, so detail-focused,& brought much-needed reason and humor to a daunting process." "Lori Mendelis was an absolute delight to work with. Her enthusiasm, positive attitude, hustle and charm won us over and won prospective buyers over with 5 offers in a 3-month period in one of the toughest real estate markets in 20 years. There might be a lot of good agents out there to work with, but what makes Lori special is her A+ service to her clients 24/7. I would highly recommend her!" "Lori served as the buyer's broker & the seller's broker on our deal.She was absolutely fantastic! She was fair & objective with us, always got back to us promptly & kept us up to date on all developments. When issues arose, she worked tenaciously & saved the deal. She served as our advocate with all involved parties to ensure that both buyer & seller were satisfied. We highly recommend her!" "CHOOSING LORI WAS THE BEST DECISION WE COULD HAVE MADE! In a very difficult market, Lori worked with us every step of the way. Her strategy, focus & flexibility got our apartment sold within six weeks, in spite of the overall market slowdown. Lori is optimistic, driven, super smart and a joy to work with. She made all of the difference for us. We cannot recommend her highly enough."